Dancers in Jason McDole’s class perform their daily warm-ups. Photo by Jordyn Hronec. Before class starts, there’s a specific energy buzzing in the air. When the teacher opens the door, dancers quickly file into the large, echoey studio with sunlight filtering through the tall windows that reveal the ghost of a once industrial city looming outside. The dance students are eager to get stretching. One student seats herself on the floor and begins to roll a tennis ball up and down her legs, massaging her muscles with the hard rubber. Another student positions himself with hands and feet on the floor, facing downwards, creating a triangular tent with his body. He slowly stretches his calves and his back. Other students simply take a moment to breathe. Then, when the clock hits 11:20 A.M., the students move to their respective spots on the dance floor as their teacher, Jason McDole, prepares to begin. 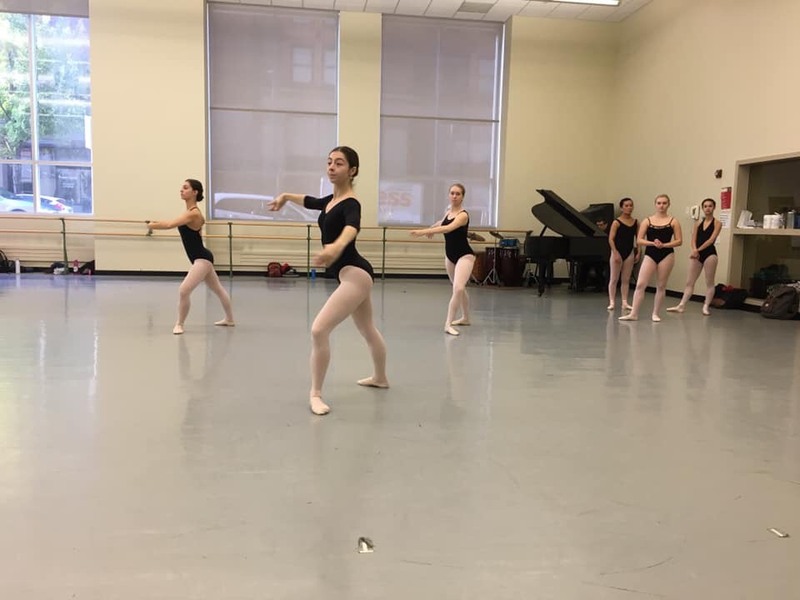 This is the beginning of a typical modern dance class at Point Park University in Pittsburgh, Pennsylvania, whose dance program has recently been nationally ranked as the fifth best of its kind by OnStage blog. Point Park’s dance program, which is a part of the school’s Conservatory for the Performing Arts, seems to be just what you would expect. The studios boast high windows, ballet barres, and a grand piano in the corner. The program has a knack for blending together traditional dance education styles with the new, as well as a diverse population of students. McDole’s classes kick off with a calm, personal discussion. He asks students to reflect on what parts of the dance practice and performance process that they most enjoy. From there, a conversation begins. It continues as McDole preps the students to begin movement, pacing between rows, addressing them all as “My humanitarians…my warriors.” Then, Gordon Nunn, the musician at the drum kit in the corner, begins to play. The movement is at times, choppy, and at times, fluid. At several segments, as the drum hits a particular beat, loud, guttural vocalization is involved. The students flex and relax their core muscles over and over. At one point, push-ups are involved. Next are crunches, complete with red faces, portraying burning pain. But no one gives up. McDole circles the room, calling out barely-audible words of encouragement over the deafening drumbeat. One dancer, a tall boy with an athletic build, smiles as he performs the routine, his face is peaceful. Another girl stares straight ahead, deep in concentration. These are the dancers and the faces of the program: focused, driven by what they love, and all entirely unique. The drum stops suddenly, and the dancers cease their movement. McDole gives them a short break before moving into the second half of class: a deeper discussion. At first, it seems as though this discussion, which is focused on the balance between a dancer’s form and a dancer’s essence, is all about the craft or the action. It soon becomes apparent that this is just as much a life discussion as it is anything else. Jason McDole, who is originally from the Pittsburgh area, graduated from New York’s Juilliard Conservatory and has danced with companies like the Parsons Dance Co., Lar Lubovitch Dance Co., the Twyla Tharp Dance Co., and was a founding member of the BattleWorks Dance Co., with Robert Battle of the Alvin Ailey American Dance Theater in New York City. And that’s what makes Point Park’s dance program so unique. It’s not just about the art form, but the artist. “We care for our students, both physically and mentally,” Garfield Lemonius said. Lemonius is the newly appointed head of the department, and his job includes everything from assessing students’ learning, to managing faculty, to dealing with the department’s financials, and on top of that, teaching. Lemonius can be found in his office on the sixth floor of Lawrence Hall, or in the dance complex, chatting and joking with students in between classes. A simple walk around the dance program’s home, the George Rowland White dance complex, or GRW for short, speaks volumes about this program’s caliber. The GRW houses eight dance studios, one of which can transform into a performance space with ample audience seating. “Our facilities are unmatched…the studios we have in the GRW, no other school has what we have,” Lemonius said. “This [the GRW] is not normal for a college dance program,” McDole said. The GRW is regularly full of students, congregating before class, warming up, practicing routines, or participating in activities, such as African Drumming or Latin Ball Dancing during World Cultures Week. Everyday, the studios are filled, with classes offered in either modern dance, jazz, or ballet. Dancers in Keisha Lalama’s jazz class face-off as they perform a combination to Pharrell Williams’ “Happy.” Photo by Jordyn Hronec. In Keisha Lalama’s jazz class, energy is high. She starts off class with a discussion of the previous night’s auditions, as every season dance students audition to be cast in pieces by guest choreographers for showcase performances. Lalama observed the auditions, and she makes sure to give general feedback, as well as individualized comments to students that caught her eye. Then, it’s time for warm-ups. Students start off by jogging around the massive studio, before moving in to isolations meant to build their strength and control. This is all done to a Bruno Mars playlist, an artist that Lalama is particularly fond of. This is something that Lalama also stresses for her students. Entertainment, she said, is neither good nor bad. It’s meant to move people. Lalama also has the students perform a combination to Pharrell’s “Happy”, and gives tips relating to potential audience and camera placement. It’s a glimpse into what professional, commercial dancing looks like, something Lalama knows all about. Keisha Lalama has taught classes and created works for dance companies and universities across the U.S., as well as teaching for Cirque du Soleil and choreographing for the films Sorority Row and The Perks of Being a Wallflower. Her repertoire, like most of the program’s instructors, is rich. Students in Girard Holt’s ballet class prepare to pirouette across the floor. Photo by Jordyn Hronec. Girard Holt is a ballet instructor in the program, and his professional dancing career has taken him from city to city. Holt began professionally in San Francisco, and has since danced with companies in Richmond, Kansas City, Columbus, and eventually, Pittsburgh with the Pittsburgh Ballet Theater. This led him to teaching. In Holt’s ballet class, technique reigns supreme. Before the 8 A.M. class begins, dancers take time to stretch and prepare. Some dancers apply layers of masking tape onto their feet for support and to minimize rubbing. Holt himself even takes a few moments to stretch and prepare his body, because he jumps right in and demonstrates exactly what his students are to do. One student, Rosalie Anthony, is among the few who wears pointe shoes during the class, a type of ballet shoe where dancers are able to balance on the tips of their toes. The shoes use wood and glue to support the foot, and are quickly worn out. After class, Anthony approaches Holt to tell him that her shoes, which were brand new a week ago, are already “dead”. 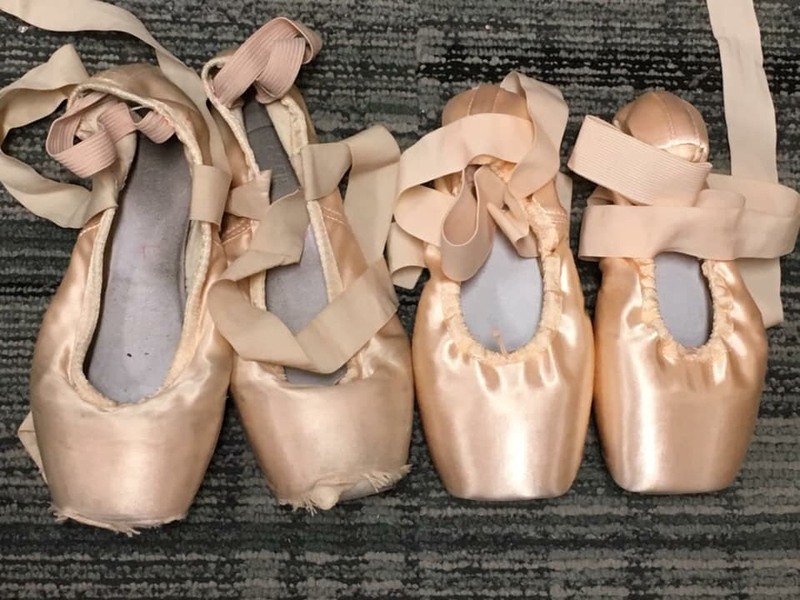 Pictured on the left are Rosalie’s “dead” pointe shoes, right next to her brand new shoes on the right. Photo by Jordyn Hronec. The process of obtaining and preparing new pointe shoes for use is expensive and extensive. Anthony first had to buy the shoes, which can run anywhere from $60 to $100, sometimes even more. Next came sewing the ribbons and elastic on herself, and adjusting the shoes so they fit perfectly. Then, she had to take a match to the ends of the ribbon to prevent fraying. This began the arduous process of breaking the shoes in just enough, but not too much. For Anthony, this meant lots of bending, squeezing, and in some cases, ripping. All for a pair of shoes that lasted her only one week. But this is what Anthony, a freshman B.F.A. major with a concentration in ballet, is used to. 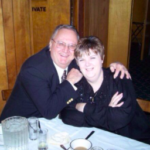 Anthony, from Birmingham, Alabama, originally started dance as a form of therapy. And 16 years later, she is at Point Park University, preparing for a professional career. Anthony also brings up Point Park’s national recognition. 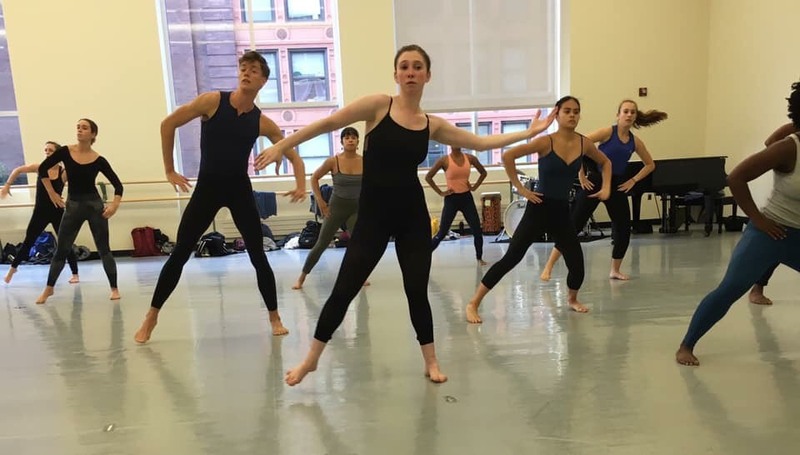 In addition to dance, she is also an Honors student, and she is looking to add a Musical Theater minor, a program where Point Park comes in at number nine in the country, according to Onstage Blog. Carnegie-Mellon University in Oakland takes the number one spot. 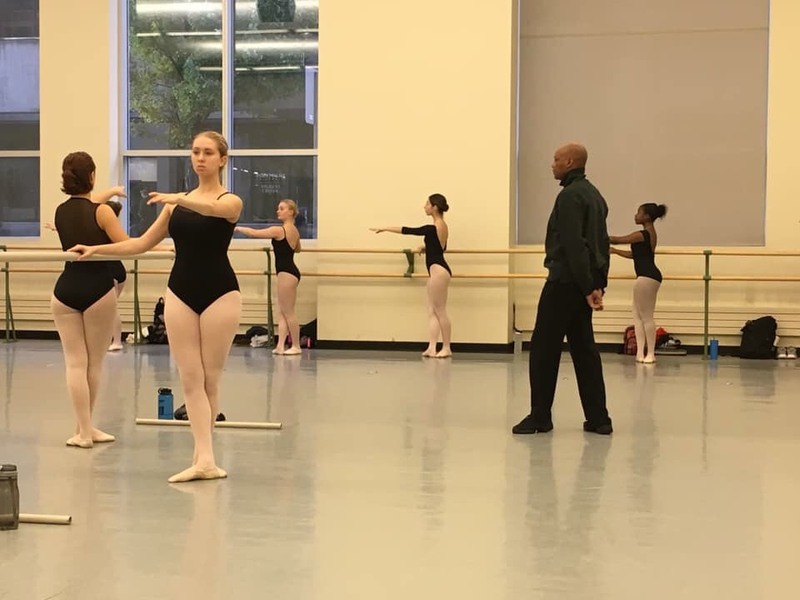 Instructor Girard Holt surveys his students as they work at the ballet barre. Photo by Jordyn Hronec. Anthony’s well-rounded freshman experience thus far has been another success story added to a long list for Point Park’s Conservatory of Performing Arts. Troy Centofanto is the Director of Recruitment for COPA. He oversees the admissions process, which in COPA’s case, involves scheduling auditions or evaluating artistic achievement. Centofanto also cites student camaraderie as something that sets Point Park University apart. Junior dance student, Cecilia Benitez, finds herself grateful for the opportunity to study at Point Park University. According to Benitez, the balance between artistry and academics is crucial. For some, like Benitez, Point Park offers a unique mix of artistry and academics. But for others, like Rosalie, the dance program itself is all that matters. Rosalie also makes sure to mention her current inspiration: the people. Very nice article about a specialized subject. Deeply informative and very well-written.